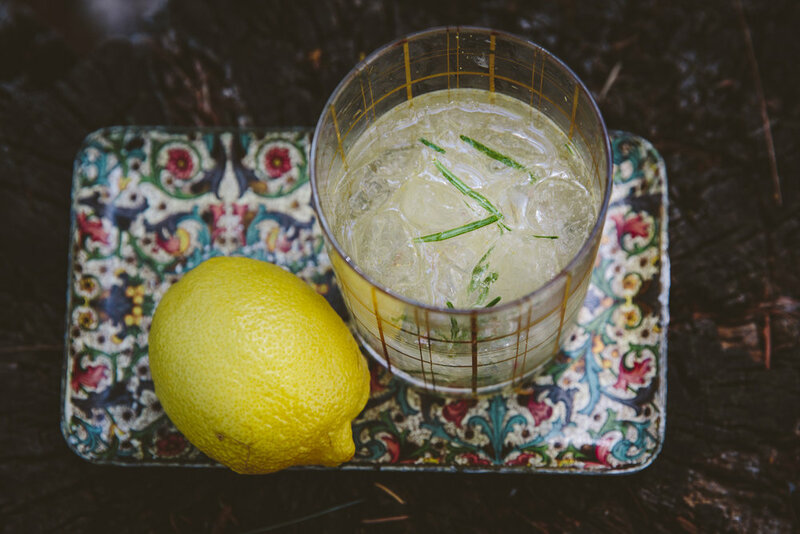 3 Drink Recipes to Spice Up Your Next Event! We were inspired to make cocktails, but with an Old Pueblo twist. With the help of friends and our dreamy bartender Noah Meyer, we made two Tucson-inspired cocktails with our favorite Arizona-born whiskey. And you can too. The first is The Open House margarita with clear Whiskey Del Bac mixed with maraschino liqueur, simple syrup, grapefruit, and lemon. The other is our Corona de Tucson made with the classic Whiskey Del Bac with sweet vermouth, ancho chile liqueur, coffee and orange bitters. Add all ingredients to cocktail shaker, add ice, shake like hell. Serve up in a cocktail coupe. Adjust the simple syrup based on how sweet or tart the grapefruits are. Add all ingredients into a shaker to your liking and shake well. Add rosemary for a garnish!